Stay at the riverside Crowne Plaza Melbourne hotel for business and leisure on the banks of the Yarra. Crowne Plaza Melbourne is in the heart of the city's vibrant docklands. 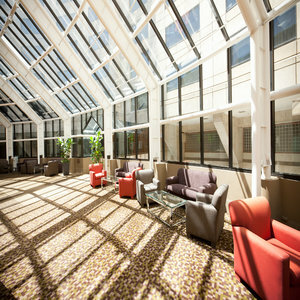 Our bright Lobby is alive with conversation and as you step to our Front Desk you'll know you're in good company. We'll take your bags if you want to sit back with a local microbrew in the Lobby Bar . You're surrounded by restaurants on the Yarra's north bank, just over the bridge from the Crown Casino and Melbourne Convention and Exhibition Centre . Crowne Plaza Melbourne is a 5-minute walk from Southern Cross rail station and a 2-minute stroll to the tramways for swift travel across the city. Taxis or our car service take 30 minutes from Melbourne Airport , while valets make parking easy. The Crowne Meetings Director will adapt our meeting rooms for video conferences or multimedia presentations. You can trust our Concierge for insider tips on sport, culture and entertainment, and the chefs at Clarendon St Grill to cook steaks the way you like them. Energise in our outdoor pool or take a morning jog on the Southbank Promenade to catch the sun glinting off the angular heights of the Eureka Tower . Choose Crowne Plaza Melbourne for South Wharf conventions, and concerts or crunching tackles at Etihad Stadium , home of Australian football.